90 minutes of rollicking rockabilly, country, gospel, and pure 1950's rock 'n' roll. Why See Presley, Perkins, Lewis & Cash? Join these four legendary recording artists for a fantastic evening of stories, song and more as they gather together for a jam session that'll take you right back to the 1950s and the birth of Rock and Roll! As the new musical phenomenon sweeps the nation, these four up and coming Sun Records artists tell their tales and tease their new tunes. So get out your Blue Suede Shoes and Walk The Line with this stylish tribute. 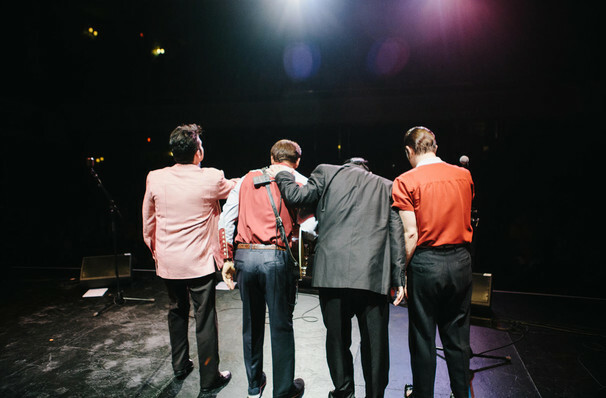 An intimate and unmissable musical journey, Presley, Perkins, Lewis & Cash is a fantastic way to enjoy your favorite musicians, together again! 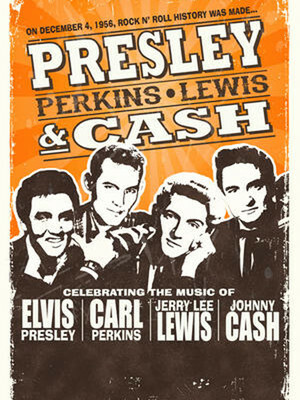 Seen Presley, Perkins, Lewis & Cash? Loved it? Hated it? Sound good to you? Share this page on social media and let your friends know about Presley, Perkins, Lewis & Cash at Coral Springs Center For The Arts. Please note: The term Coral Springs Center For The Arts and/or Presley, Perkins, Lewis & Cash as well as all associated graphics, logos, and/or other trademarks, tradenames or copyrights are the property of the Coral Springs Center For The Arts and/or Presley, Perkins, Lewis & Cash and are used herein for factual descriptive purposes only. We are in no way associated with or authorized by the Coral Springs Center For The Arts and/or Presley, Perkins, Lewis & Cash and neither that entity nor any of its affiliates have licensed or endorsed us to sell tickets, goods and or services in conjunction with their events.